Lupini Family Racing is on its way to Budds Creek for some IHRA action. Bob Lupini of Lupini Family Racing will be making our IHRA racing debut at Budds Creek in Maryland (The President's Cup). This is the first national event for the team. Hopes are high with the signing of SSI Blowers. 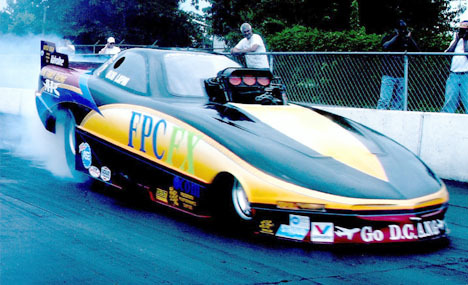 Long time sponsor FPCFX.com will be on the sides of the car. DC Air National Guard will be on also be riding with us. Bob would like to say thanks to all for the help, without which we could not go racing.